Pioneers in the industry, we offer demineralized water system, mineralization plant, dm water plant and desalination plants from India. 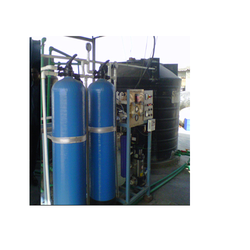 We are engaged in offering a broad range of Demineralized Water System . Offered range of product is known for its precise quality standards. This range is manufactured from best quality raw material and under the guidance of skilled and experienced professionals. Offered range of product is highly demanded in the market by various industries. Moreover, we assure to our valued clients to provide a quality tested range that can be delivered from our end at a leading market price. We are one of the trusted names to offer Mineralization Plant for our valued clients. Offered ranges of products are made from optimum grade raw material. Offered products are widely demanded in different industries. Offered ranges of these products are highly appreciated and demanded by our clients. Customers can avail these products at leading price from us in the market. With the support of our expert technicians and engineers we have bring forth an exclusive assortment of DM Water Plant. We have adequate infrastructure facilities, advanced machinery and technology to develop these plants. 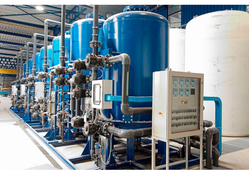 Our organization is a trusted name of this domain, which is engaged in manufacturing and supplying a wide array of premium quality Desalination Plants. The offered gamut of desalination plants is designed & developed by our engineers employing advanced machines and latest technology. Offered desalination plants are commonly used to purify salty and impure sea water and make it suitable for the commercial purpose. 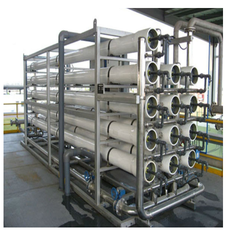 Looking for Demineralized Water Plant ?